This policy is effective from 10th May 2018. 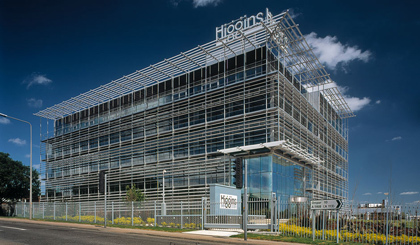 What personal data does Higgins Homes collect? Email links from the website. These open an email in your provider, from which we will collect the email address and any other information you choose to disclose in the body of that email. Why does Higgins Homes collect personal data? Higgins Homes requests personal data in order to understand your needs and provide you with a better service. What does Higgins Homes do with my personal data? We retain your personal data in order to send you information on developments to which you have subscribed and similar products from Higgins Homes. Higgins Homes are committed to privacy protection. Your personal data will be stored on our secure server and only passed on to approved third parties after agreeing terms of purchase in order to facilitate progression of the sale. However, if you wish to restrict or block the cookies which are used on www.higginshomes.co.uk you can do this through your browser settings. The Help function within your browser should tell you how. Please be aware that restricting cookies may impact on the functionality of the Higgins Homes website.